DC has announced the time table of release for several of the volume 2 graphic novels of The New 52 as well as a few other surprises. As expected, trade papers of the hardcovers from the first round of release will be put out at the same time as the volume 2 hardcovers for titles like Batwoman, Green Lantern, Wonder Woman, Batgirl, Justice League, and Batman. Another thing they’ve got in store for us is the collections of New 52 crossovers. A Night of the Owls hardcover to be released in February with all of the “Night of the Owls” stories from Batman, Detective Comics, Batwing, Batman & Robin, Batgirl, etc. There are also plans for The Culling: Rise of the Ravangers trade paperback featuring LEGION LOST #8-9, SUPERBOY #8-9, TEEN TITANS #8-9 and TEEN TITANS ANNUAL #1. But the biggest surprise is the reprints of several older stories. A new hardcover of the Metal Men, Metal Men Archives Volume 2 featuring issues 6-20 will be released in March (drumming up interest for the Barry Sonnenfeld film?) 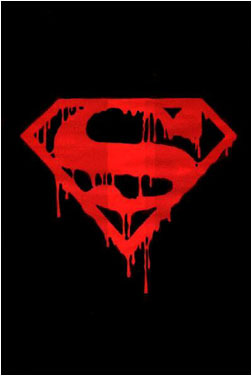 and an all new printing of The Death and Return of Superman as an omnibus hardcover. This super sized graphic novel will be 954 pages long and retail for $100. Head on over to DC’s announcement page to see what else they’ve got planned.